For years people have avoided orthodontic treatment to achieve straight teeth because of fear of humiliation or discomfort. We’ve all heard the horror stories of headgear and and large chunks of the previous meal stuck in teeth and being on full display for the world when smiling. 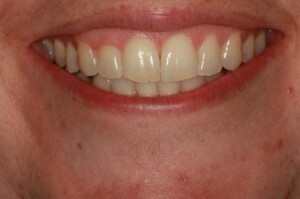 Our cosmetic dentistry patients are understandably thrilled then when they find out about Invisalign clear braces. Depending on your situation, Invisalign may be the perfect solution for you to achieve straight teeth. Invisalign treatments help give patients straight teeth with a series of clear custom fitted trays that gently shift teeth until they are aligned. 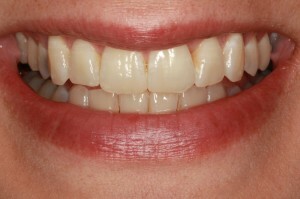 Another huge advantage of Invisalign is that the treatment often only lasts six months. Patients rave about the effectiveness of Invisalign and are so excited that most people won’t even know they are wearing clear braces. If you are one of the many people who have put off straightening your teeth because of embarrassment (wearing traditional wire braces), clear braces may just be that straight teeth solution you’ve been looking for. 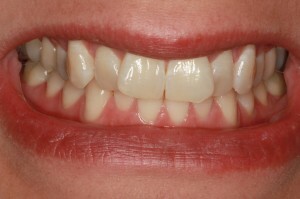 Straight teeth should not be an unobtainable dream for you. Because of Invisalign and the advancements in dentistry in general, you can make the smile of your dreams become a reality—and more affordably than you may think. 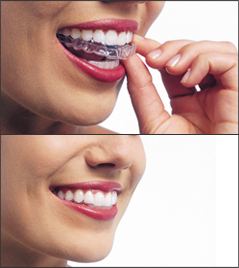 Invisalign clear braces are not a gimmick. They work. You may ask, “If Invisalign really works that well, people don’t notice the clear braces and it’s a fairly quick procedure, why weren’t they invented a long time ago?” Great question! Unfortunately for those who have the embarrassing childhood stories of their orthodontic treatment, the technology was not there yet. But it is available to you now. 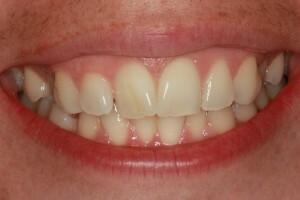 Dr. Felton can help make your ideal smile with white, straight teeth come to life through clear braces treatment. Don’t let fears of embarrassment, discomfort or cost prevent you from sharing a beautiful smile with family, friends or acquaintances any longer. Schedule a visit today to find out if you are a candidate for Invisalign.